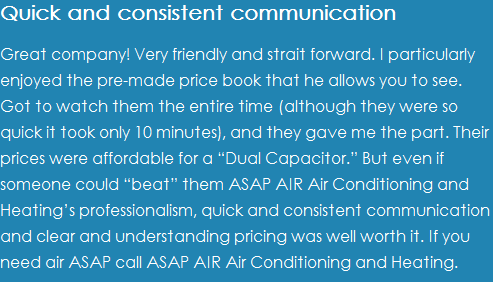 At ASAP AIR Air Conditioning and Heating we service and sell all major brands of air conditioners, HVAC, and heating systems. 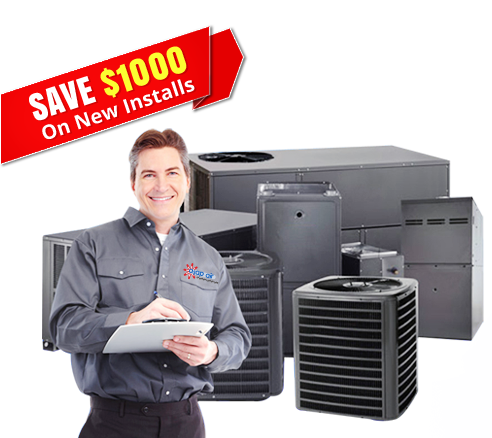 Services offered: Air conditioning, AC service, AC Installation, HVAC Contractors, HVAC, AC Repair, Air Conditioning Repair, Heating, Furnace Repair, Heat Pumps, Heating Repair, and Coil Cleaning. Welcome to ASAP AIR conveniently located in Houston Heights. 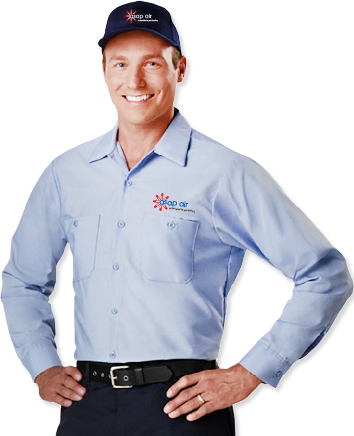 We serve the Greater Houston area with our air conditioner installation, repair and replacement services. We are a family owned and operated business in that is big enough to provide unbeatable service, and small enough to keep our costs 20%-30% below the competition. If your HVAC system needs best of the class service, ASAP AIR Air Conditioning and Heating has experienced, friendly technicians ready to diagnose, adjust, repair or replace your residential and/or light commercial system today. 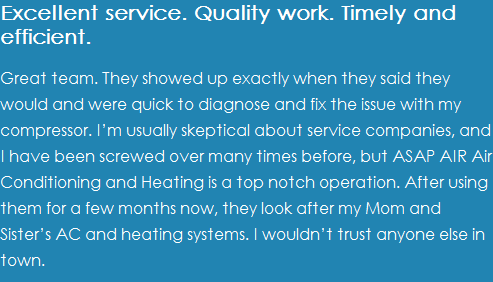 Furnaces should be cleaned & tuned up every season. Regular checkups keep the system operating efficiently. Act fast to save money now!